To say that the brand is doing great would be an understatement. 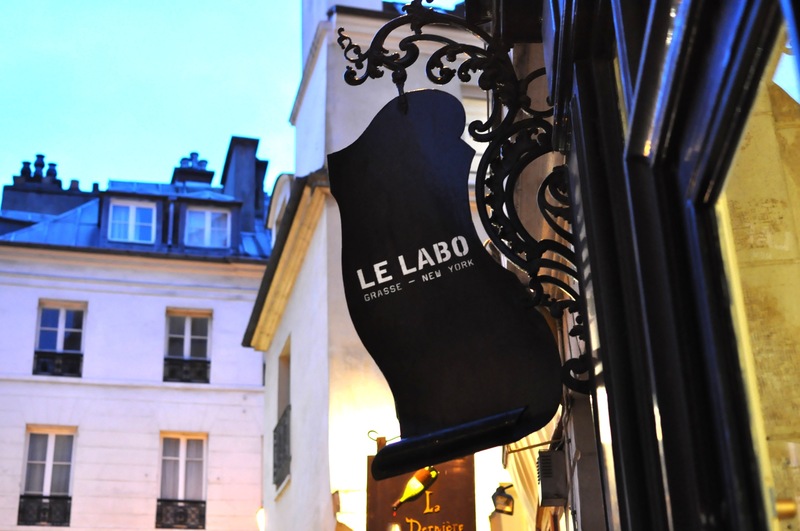 Born in the spirit of Fabrice Penot and Eddie Roschi, two French guys who met while they both worked for L’Oréal, Le Labo was launched in New York in 2006. It is now a multimillion-dollar company whose juices sell worldwide through about forty points of sale where the exclusive atmosphere is carefully looked after. Paris, its latest boutique, opened its doors in September 2012 making less of a fuss than one could have expected. There, the growing collection, which counts 20 fragrances today (composed by Mark Buxton, Michel Almairac, Daphné Bugey, Françoise Caron, Maurice Roucel, Franck Volkl, Alberto Morillas, Annick Menardo and Vincent Schaller) is sold according to the so far unique protocol that has made the success of the brand : putting the fragrance in its bottle at the time of purchase, and claim a will to explain the creative process to customers by educating their nose. I met Eddie Roschi at the Parisian store. It is a new, unique universe that arouses things we are not used to feeling upon entering a fragrance store. You get to smell the raw materials, touch them, ask questions about packaging and the process of making perfumes… All this creates a strong bound to the perfume you end up buying, if you decide to buy one. You witness the birth of your perfume, which is made upon purchase in the laboratory. What do you mean by “making the perfume” in the lab? It’s actually blending the matured oil with alcohol. Matured oil being the ready-made blend of raw materials? Exactly. It is a very sensitive blend, made by lab assistants with the help of special tools allowing precise weighing of tiny quantities. Here, we mix it to alcohol and water, observing strict rules. But raw materials usually need to macerate in alcohol for several weeks before a perfume is ready. Do you just skip that wait? 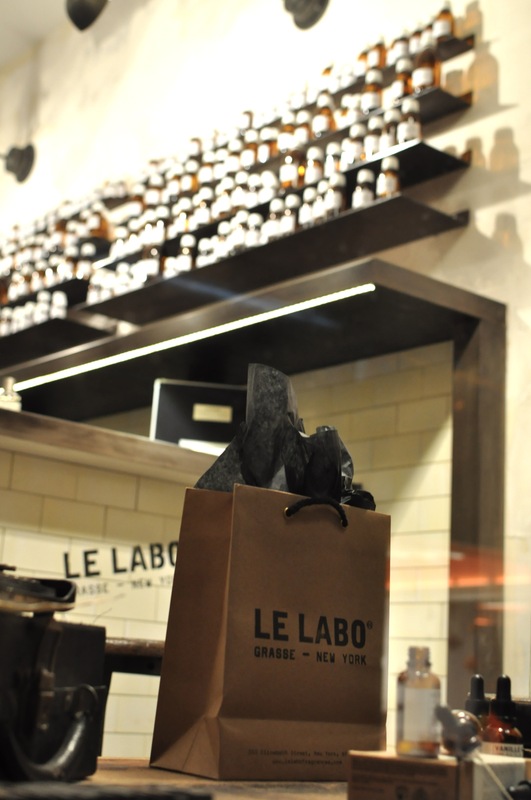 No, nothing gets skipped at Le Labo! It’s actually the contrary. We like to share that kind of things with our customers and many of them ask that question. Maturation is the phase during which raw materials find balance with one another and stabilize. It lasts 4 to 5 weeks. The perfumer delivers the maturated oil to us in aluminium cans. When we mix it to alcohol, the blend loses balance and finds it again naturally through maceration. And it all happens in the customer’s bottle. Is that to say the perfume comes to a certain stability two or three weeks after its purchase? Maceration is much faster than maturation. It goes from a week to two or three weeks. But if you compare a wholly macerated juice to one we’ve just put in a bottle, it smells almost the same. For the majority of untrained noses, there is no difference. You can wear a Rose 31 right away. And then after a couple of weeks, it will become more stable, get denser and have reminiscence. We say this to our clients, it allows us to explain how a perfume is blended, which we also explain on the technical leaflets we put in the boxes. It’s just like buying a sports car: you have to run in the engine. Maceration is like that, and we explain that to our customers. Do they often ask that kind of questions? You make them smell raw materials in the store? We have a majority here (he points at the shelves behind the counter, they are filled with bottles) and some more in our stock. The press has democratized perfume, it has generalized it in a good way, but at the same time it has made its terminology kind of transparent. Today, everyone speaks about a sensual fragrance, a woody fragrance, a heady fragrance… People use these words but sometimes they don’t have a meaning for them. We talk about vetiver, but who’s ever smelled real vetiver, for instance? Here we have a few raw materials in their natural state. (He shows jars on another shelf) We have iris roots, myrrh, musk seeds, incense, sometimes cardamom, pepper, cinnamon bark… Simple things, really. And we also have some synthetics. We can let customers smell the materials in their fragrance. But usually, once they’ve smelled a couple of materials, they’ve had enough. But it was your intention to make it available to them? It was our intention to initiate people, or at least to raise their awareness to the art of developing fragrances. To show them that it takes time, that the product lives and evolves over time. That it will get better during the two to three weeks of maceration, and then start to deteriorate. We tell them about synthetic and natural, whether it’s good or bad, because the press has lead people to think that naturals are great and synthetics are not, while the truth is somewhere in between… We answer all these questions and remind them that fragrances are developed by people who have a creative vision. Perfume is an art. We talk about them, there is no secret around them, but it is not them who develop the smell’s aesthetics. When we give carte blanche to a perfumer, nine times out of ten it won’t be interesting. This means no matter how good a perfumer is, he needs a creative intention. The perfumer is kind of like the chief operator on the set of a movie. Behind the camera, he captures the vision of the director who asks for a certain atmosphere within a certain shot. And the chief operator rarely directs movies… Some know how to do it, but they are not a majority. So here, we know what we want, we let perfumers surprise us, we do things together and there’s a genuine dialogue. The creative process puts us on the same level. If we do not advertise our perfumers more, it is not because we need to satisfy our egos, but because it is not interesting in the end. It is not the point we are making. What is your point, then? The point is to fall in love with a smell, to wear that smell, voilà. To realize that a carefully chosen smell that arouses emotion within one’s self will make their life more beautiful. Just like choosing in the morning how to dress, make up or style your hair. It is an accessory in a world where beauty is salvation! And the rest is unnecessary. The name of the perfume, Rose 31, Oud 27, etc, these are names sterile enough that they don’t influence our projections on the fragrance. The prices are identical (110€/50ml, 170€/100ml) so they do not interact with how we choose our fragrance and the bottle vanishes behind the beauty of the smell. That is perfume. And what surrounds the brand, how hip it is, how exclusive, of course plays a role in how people will interact with that note. 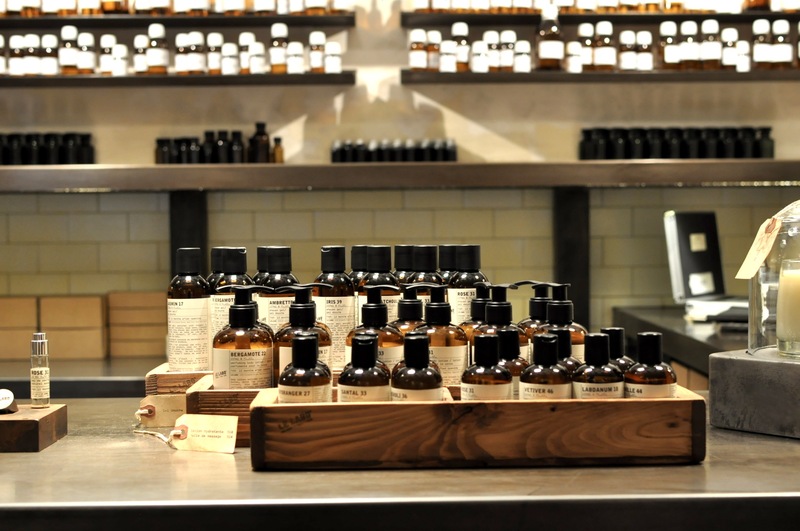 Saying you wear Le Labo’s Rose 31 is not the same thing as saying you wear just a Rose 31. But in a certain way, that’s accidental! We just want people to buy our perfume, and come back to tell us it has changed their life. 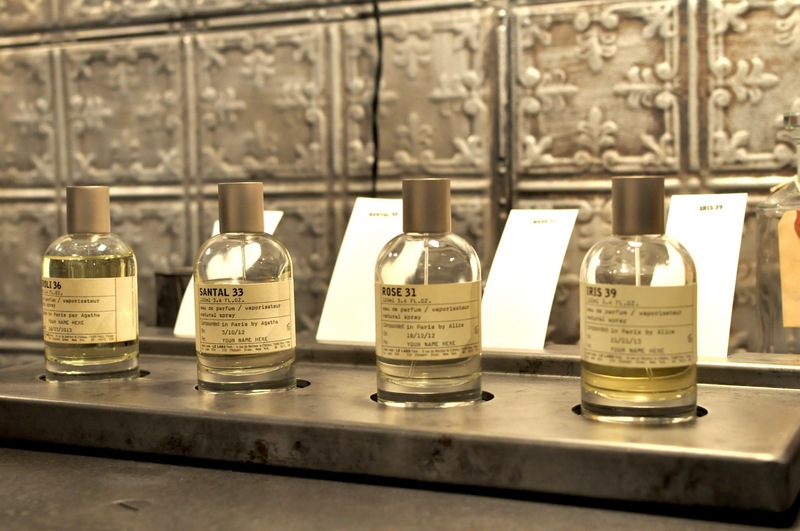 Which isn’t bad already… When we buy a perfume from Le Labo, I can imagine we pay for the quality of raw materials, but don’t we also pay for the customized label and everything that surrounds the fragrance? The price of our perfumes is roughly the same as similar niche brands. Like Frédéric Malle, who makes great perfumes too. (His 100ml vary between 130 and 180€) We look at each other, we talk, we know each other and help each other. We opened a point of sale in Milan thanks to him. Since we like each other and believe we make products that answer a certain demand of creativity, we might as well surround ourselves with this kind of people. And if you ask why our perfumes are more expensive, it’s just like going to a restaurant where products are good quality and where the chef will have a true intention in the way he puts them together. Same applies to wine. Luxury often means, beyond rarity, the quality and implication of an artistic director who maintains the highest standards. The way we do things costs money. Some may not be sensitive to that, not understand the point to spending so much money, and this is not a criticism. The nose needs education, taste needs education. How do you explain the huge success you have in the United States? It went very well from the very beginning, it goes very well everywhere we are actually, I’m touching wood. (Eddie takes a quick look at the store and its industrial, mostly metallic decor, he finds a wooden stool, touches it and adds in a laugh that he is superstitious) Where we do it, we do it well, we don’t open corners just for the kick of it. We are the least distributed niche brand. We have a total of 45 points of sale, but that includes 7 own boutiques. We focus on our boutiques so that we are able to tell our stories properly and people can understand our philosophy. Is there a common denominator in all your juices? The style is the perfumer’s but there will always be dirty, animal, musky notes because we’re crazy about them. Our signature is Cetalox (a molecule also known as Ambroxan), base notes you won’t detect right away. They smell like animal musk, dry wood, cedar. And we won’t start working on a fragrance until we’ve put a good dose of it.